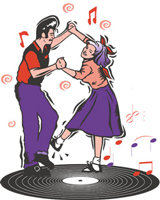 Pack your poodle skirt and your leather jacket when you head to Panama City Beach for the Southern Peanut Growers Conference because we will be having a good old fashioned sock hop on Saturday night! Entertainment for the evening, sponsored by Syngenta, features a blast from the past with Rocky & the Rollers. 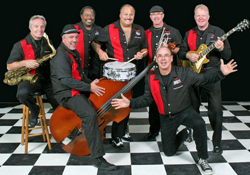 This band will have you up and bopping as they play the classic hits from the 50’s and 60’s. They have performed with and played for greats like Chuck Berry, Fabian, The Drifters, Bo Diddley, The Shirelles, and Jerry Lee Lewis. Rocky and the Rollers are best known as the touring band for Bowzer’s Rock and Roll Party with Jon “Bowzer” Bauman former leader of Sha Na Na. Get into the spirit of the era by sporting the styles of the times. Women can show their fab ’50s style by wearing a poodle skirt, polka dot dress or coming dressed as one of the Pink Ladies. Men can dress in ’50s style with their retro style bowling shirts, greaser jackets, ’50s prom king attire or come dressed as a Coca-Cola soda jerk. So put your glad rags on and join us hon’ where you can swing it and you can groove it and really start to move it at the hop! Dinner and entertainment, sponsored by Syngenta, begins at 7:30 p.m. Saturday July 26 in the Grand Palm at the Edgewater. Be there or be square!